Disney provided me with a trip to Los Angeles in exchange for my coverage of this and other movie releases. No other compensation is given. All opinions, experiences, memories and character crushes are 100% my own. I recently had the exciting opportunity to visit Disneytoon Studios and hang out with two very important members of the animation team for Zootopia. Meet Renato dos Anjos and Chad Sellers. These two put in countless hours to make sure that this film was accurate and up to Disney’s high standards! AND they didn’t just randomly end up on this film, these two are seasoned animation rock stars with some amazing movies under their belts! 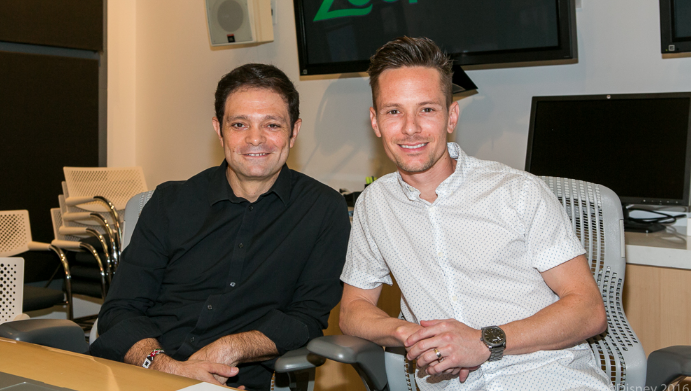 Both dos Anjos and Sellers worked on Frozen, Tangled and Wreck It Ralph … just to name a few that you might recognize! There were a lot of different characters, a lot of different species. And for us as animators, when you’re working on a film, once you get used to animating humans, it kind of makes your life easier as you go. But Zootopia had so many different varieties of species that it made that very difficult for us–in a good way because we want to be challenged –but you can never really apply what you learned from a mouse onto an elephant, for instance. So we looked for inspiration everywhere, like on our films of the past. Like Robin Hood, which is one of my favorite animated films because I loved the design animation in that movie. It’s done by several of my all time favorite artists and I love that movie so much. 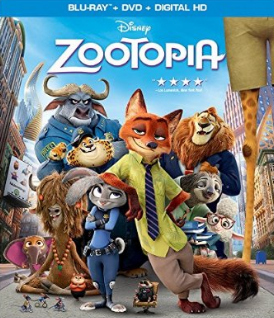 But one thing that we wanted Zootopia was unique and so we didn’t just want to copy what was done in the past. We worked hard to decide what makes each action specific to that anima and ways that we can make our characters feel that way and these animal traits that sort of sell that anima. This was something that was a constant thing and we just wanted to make sure we got the animal behavior correct. Humans bring the food to our mouths. That’s how we eat. But the animals always go towards the food and just that subtle little thing made it feel more animal like. Just that behavioral thing. For example, bears can’t really scratch their own back, so of course, they use the tree. We wanted to find fun moments to actually put in the film to portray that. We didn’t want to lose a connection with the audience and we wanted make sure that our characters were believable and relatable, so when you watch the movie you’ll be engaged with those characters and we’ve done a ton of that. Like for the very first year and half or so was mostly just tests like that trying to experiment with, with what’s right and what’s not. This movie becomes really part of you and these characters become part of you.You’re bringing his story to life with a group of people that you really admire and that you know very well. It’s intense in a way that we work a lot of hours. We’re here very early and we stay very late. We literally are having breakfast, lunch and dinner together for months. Along the way, each department, each artist adds their magic and it goes through everybody and everybody touches it. It’s like, you really feel like a family that created this thing. Everybody did their part and everybody’s like a master at what they do and at the end, it’s super rewarding to see people respond to the finished product. I am so thrilled that this movie was such a success, and I know that they were as well! 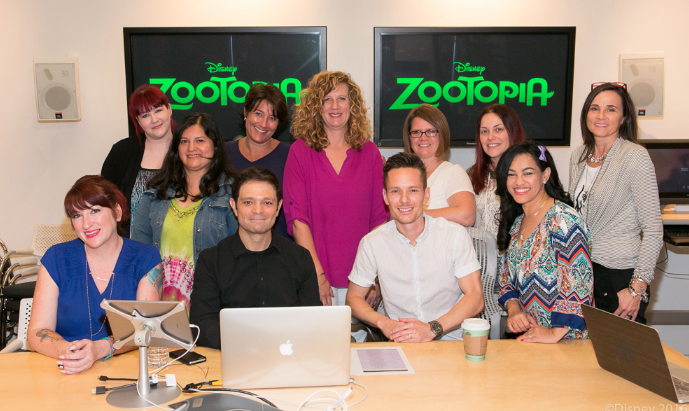 It was so fun meeting these talented guys and it’s so neat that they will go down in history as part of the amazing creative team that made the Zootopia world that we all now know and love!! ZOOTOPIA will be available on Blu-ray and DVD on June 7th! on Facebook and Twitter. Also check out the ZOOTOPIA website! Remember! ZOOTOPIA will be available on Blu-ray and DVD June 7th! You can pre-order on Amazon here.